the nation’s new airlines that commenced operation last year had its licence suspended for infraction by the regulatory authority, the Nigerian Civil Aviation Authority (NCAA). The authority suspended the airline’s Air Operator Certificate (AOC) for infractions, which included its failure to refund and compensate passengers it failed to airlift at a scheduled date and the subsequent delay in the payment of the salaries of its workers. But the management of Discovery Air has picked holes in the entire scenario and described the actin as high handedness of NCAA for suspending its Air Operator Certificate for a situation the management of the airline tackled properly. Chairman of Discovery Air, Mr Babatunde Babalola speaking on the issue explained that the shortcoming which prompted the NCAA to suspend its licence was like using a sledge hammer to kill a house fly. Babatola, said the airline met three conditions given to it before the licence would be restored. He noted that the airline has refunded the passengers it failed to airlift from Abuja to Lagos on Christmas Day last year and has also compensated them. According to him, workers had received arrears of their salaries and what remained of their salaries was paid to them through post-dated cheque that would mature on April 30, 2015 and this was confirmed by a senior official of the airline, Mr Isaac Ebi Siawe. Stakeholders and Industry watchers including some officials of NCAA had argued that the punitive measure suitable to these infraction was the suspension of the airline’s operation and not the licence as the regulatory authority had done. They maintained that suspending operation would have been ideal for the infraction committed by the airline, adding that suspending operator certificate was heavier than the offence and urged the authorities of NCAA to take a second look at the action with a view to lifting it, especially considering the level of compliance by the airline to the directive. The chairman of the airline said “we were suspended by NCAA and one of the reasons, was that the airline did not pay the workers. So the management decided to pay all outstanding salaries. A staff corroborated the concern of the chairman when he said “they have paid us January salary and asked us to proceed on an indefinite leave as no work is going on until after the suspension and we have also received cheques for outstanding salary arrears. 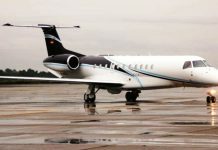 Babalola, however said the case of Discovery Air is with the Department of Air Transport Regulation (DATR), Airworthiness Standards and Consumer Protection Directorate to determine the next line of action as the airline patiently awaits their action. He remarked that the Consumer Protection has issued it with a clean bill of health and the airline is now waiting for DATR and Airworthiness and Standards to certify the airline. Another industry stakeholder, Chief Festus Onukwufor blamed the relevant authorities for the problem in Discovery Air. He opined that if the agencies performed their duties in line with due process the situation would not have arisen. 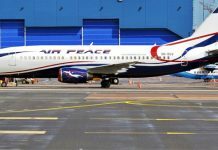 According to Chief Onukwufor, the airline started operation in 2014 and in the same year its operator licence was suspended shows that something went wrong from the onset. He also observed that infractions alone could not have warranted the suspension of certificate of the airline rather only suspension of operation but an attempt to cover the initial lapses caused by some persons in the sector was responsible. In the interest of the workers and the growth of the industry in general the authorities and its agencies should review the issues and re-certify the airline to operate, particularly if it has complied with the directive of NCAA. Discovery Air said while waiting, the airline has already lost an estimated N1 billion since January 8, 2015, it stopped operation and its over 145 workers have been out of work and it is at the verge of losing about N4 billion foreign investment; unless it regained its Air Operator Certificate. 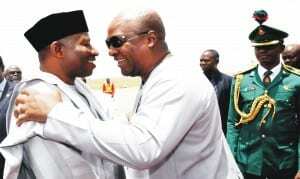 “There was no meeting between Discovery Air and NCAA before our licence was suspended. We have foreign investors who want to inject N4 billion into the airline but these investors cannot do this while the operating licence of the airline is still suspended. “We do not have technical issues. We were suspended because we had bridging loan arrangement than became problematic and that affected our finances”, Babalola stated. According to the airline’s chairman, we have learnt our lessons, we are therefore restructuring our finances and our operations. We have been off the sky since January 8, 2015. I believe that as a regulatory body, NCAA is out to engage the airline and guide it to actualise the given objectives so that it will start operation again. NCAA on its part had argued that its action in suspending the airline’s licence was done in accordance with its mandate as a regulatory body for the failure to airlift passengers on scheduled flight from Abuja to Lagos on Christmas Day and the non payment of workers salary including pilots, adding that the sanction was commensurate with the offence and therefore issued directives to Discovery Air that must be complied with before the suspension order would be lifted. The agency denied cases of sentiment, discriminatory measure and over bearing on Discovery Air but to protect the workers and reassure air travelers that their interest would be protected at all times, emphasising that non-payment of pilots’ salaries could affect their level of concentration in enhancing safety.